I know everything about how Novus Ordo is deficient. I have a desire to receive communion extra times during week so before i go to work i go to a daily morning NO Mass to receive communion. It helps me fight sins. If i had a trad church with daily Mass, i would go there. I hope God doesnt hold it against me for receiving during week in Novus Ordo. I receive in my sspx church on weekends. They dont have Daily Mass. Any thoughts? Most importantly, God will not hold this against you. If you think this practice benefits you then fine. I do not attend any NO liturgy unless it is for a funeral or wedding and I do not receive communion. When I have attended these functions everyone: people know to not attend church, non-Catholics, non-married couples, get on line. This in not how I choose to worship. I do utilize my local former church for Stations of the Cross, novena, and at other times when I wish to make a visit. Fortunately the church has retained its original character, even the altar rail, so when I am in the church I can meditate. This is the church of my baptism, schooling, conformation, marriage and funerals of all my and my wife’s family—so I feel at “home”. It is a personal decision; what I do should not reflect on you. “. . . we will jealously protect the small but still burning candle of our traditional Catholic Faith, and patiently carry on our spiritual Resistance movement without the hoped-for papal approval.” Fr. 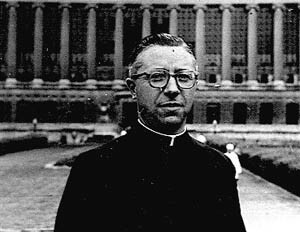 Gommar A. DePauw, August 15, 1967, Letter to Paul VI, www.latinmass-ctm.org/pub/archive.htm.